“Culture is a top priority to our school as it is the driving force in our relationships with our families and community." Trust is an important factor in building strong community ties and the district has been able to build trusting relationships with parents by establishing stability within its staff. We hire great people and treat them well,most choose to stay for many years. This stability allows strong, honest, and trusting relationships to form between school staff and parents/community. The district also hosts many community events to bring community members who do not have students in the school on campus. The most successful of these activities is the annual Cinco de Mayo celebration. Hispanic parents in the community cook lunch for the school and community and there are games, dances, and activities held throughout the afternoon on the high school football field. This has been an amazing event that brings the community together and strengthens our relationships and commitment to honoring diversity. We pride ourselves on the culture of our school. We work to hire teachers and staff members who will "buy in" to our beliefs about being student centered with strong family involvement. Our values are centered around making students feel safe and comfortable so they can learn, supporting staff so they can teach and treating each family with the respect they deserve. Culture is a top priority to our school as it is the driving force in our relationships with our families and community. Murtaugh is known around the State as a school with great "culture" and this has taken years to develop, but has been essential in establishing a trusting environment and relationship with our teachers, students, parents and community. Our teachers have embraced using data to guide their instructional practices and decision making. Teachers are given access to their class scores at the beginning of the school year through a data management system and meet with administration and teams to review scores and plan for the new year. Throughout the academic year teachers use interim testing to provide updated data regarding student progress and make instructional adjustments/interventions as necessary. In some academic areas, teachers are provided an instructional coach that will review scores with them and offer insight or ideas for growth. At the end of the academic term, students take their summative assessments and teacher reflect on the data and plan for future years. One of the programs that has had the greatest positive impact on student achievement is early childhood education. Idaho does not provide schools with funding for preschool or full time kindergarten. In Murtaugh we have provided preschool to all four year olds for about 15 years and full time kindergarten for over twenty years. 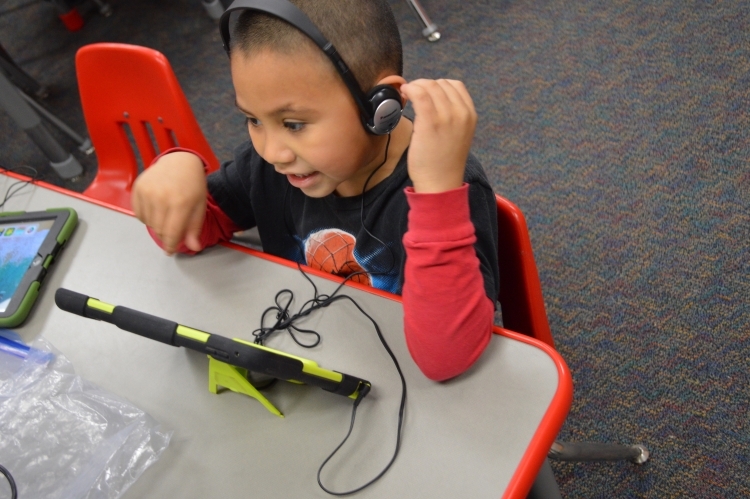 Getting a head start for our students means learning language and readiness skills that allow them to be prepared for first grade and sets each child up for a successful experience. Title I funds are used to support improvement efforts with support staff. We are able to hire highly qualified paraprofessionals to provide additional services to at risk students. Extra time on task in a small group or individually has been critical to our success with students. Change can happen quickly in small schools and the Murtaugh School has a history of being progressive, without trying every "new thing". Our philosophy is to make long term changes that will impact student achievement and provide resources to assist teachers in meeting individual student needs. 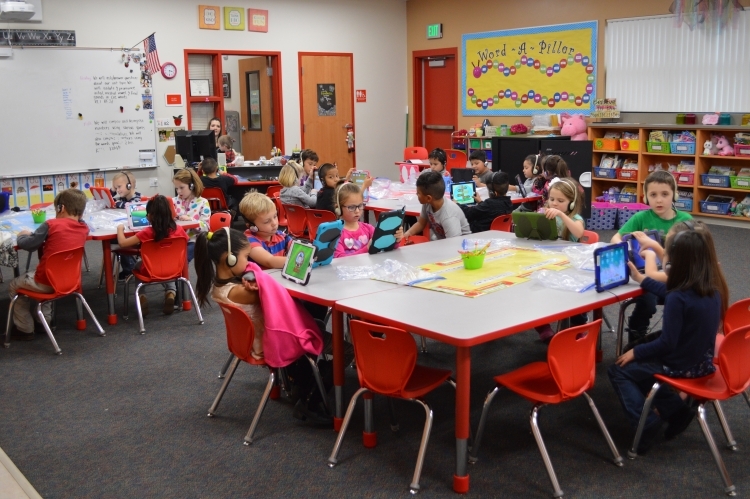 As an example, the District made a commitment five years ago to having one to one devices for students k-12. This process of change was slow and different for each teacher, depending on experience with technology. We expected everyone to make an improvement from where they started, moving everyone at a comfortable pace and assuring the program would be successful. We now have a very successful one to one initiative. Identify the critical professional development activities you use to improve teaching and student learning. We have had a series of ongoing professional development activities in recent years that has impacted teaching and student learning. Stability in our teaching assignments have allowed these training's to progressively build on our practices. 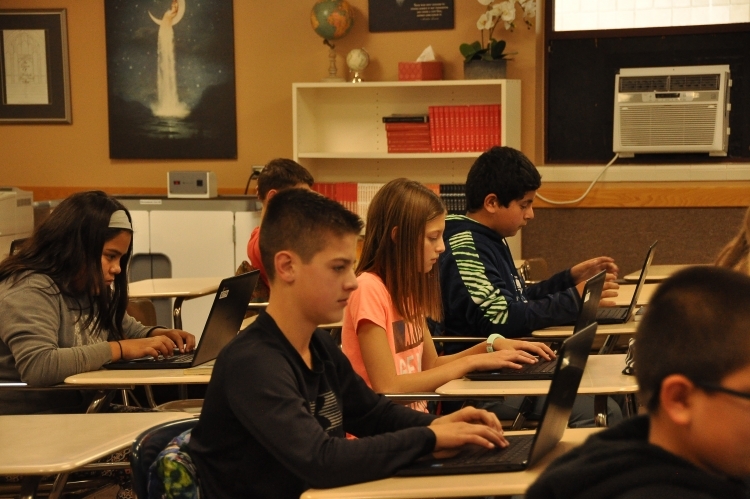 Some of the critical PD activities include the support of a regional math coach that the Idaho State Department of Education provides, training in ELA pedagogical practices by the Lee Pesky learning center, training in interim assessment strategies and interpreting data meaningfully, training in Imagine Learning and Idaho Digital Learning Academy LMS software, accreditation visits from AdvancedED and focus visits from the State Department of Education. We have learned valuable strategies and ideas for improvement from all of these trainings and combined, they have helped us become a better school. Describe specific programs in place to ensure that families are involved in the success of your school and students. We begin training families to be active in their child's education and in the school community when the student first enters our District. Preschool parents attend a series of "Ready! Kindergarten" classes. Elementary parents are active members of the school community by attending back to school night, conferences, class parties, programs and the Cinco de Mayo celebration. Parents assist with fundraising, elementary sports, volunteering to teach classes in the after-school program and chaperoning trips. As students transition into the middle/high school, parents attend orientation nights, volunteer as assistant coaches and advisers, serve on career technical advisory boards and as mentors in projects, chaperone dances and field trips, and serve in booster club and PTA organizations. We are blessed to have a very active parent community that is willing to support the school in any capacity. Many of our successes can be attributed to the dedication and efforts of our parent community. What is the single most important factor in the success of your school that others could replicate? There are so many important factors to school success. The single most important one for us is finding and hiring the best teachers and support staff to serve our students. Good teachers are essential to school success and without that element a school will NOT experience success. Our number one focus is always to hire quality staff. Beyond staffing, an important factor in our success has been in being creative to find funding to manage progressive programming ideas. We have been very successful in writing grants to fund initiatives such as one to one devices, preschool, aquaculture, horticulture, a greenhouse and multiple after school programs. Without the additional funding we have received from grants we would not be able to provided the programs and resources for our students that we now have in place. Grant writing takes a great commitment from an organization, but has been an important factor in the success of many of our programs. What are your school’s top two goals for the next year? Our school's top two goals for next year are to create smaller class sizes and to promote additional electives and pathways for students. This will include hiring more teachers at the elementary level to promote class sizes of less than twenty. We have had significant growth over the past three years increasing class sizes. Addressing this can become a funding issue, but we have prioritized it as a top goal so we can meet the needs of our most at risk students. We are also adding another track for math to allow students to progress at a more individualized rate. Additional courses in health occupation will be added allowing students to have an additional opportunity to get certifications for immediate job opportunities and promotion into post secondary programs. With these programs combined with what we currently offer, a student in our school can graduate with their Associate's Degree at the same time they get their High School Diploma.